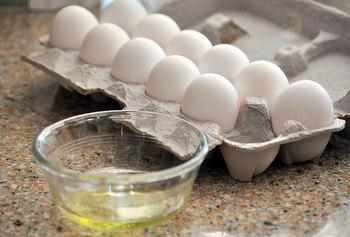 There are many recipes out there that call for separating your eggs and when they do, there is a good chance that you are going to have leftover egg yolks or leftover egg whites as a Fortunately, both leftover egg whites and leftover egg yolks can be stored untilÂ you need them. But that still leaves you with the question of how to you use up leftover egg whites once you have them on hand? The easiest thing to do with a leftover egg white or two is to mix it into some more eggs the next time you’re making a scramble or an omelette, but here are 5 great recipes that put them to an even better use. A batch of Coconut Macaroons is a simple way to use up one or two egg whites. These chewy cookies are easy to make and even easier to eat. The recipe can be scaled up or down easily depending on how many egg whites you have available and how much shredded coconut you have on hand. A Fresh Strawberry Souffle uses up four egg whites, and needs no yolks. This light and satisfying souffle can be made with a variety of fruit, but strawberries are perfect in the summertime when they’re in season. Several other souffles can be made using only egg whites, as well, including Maple Souffles and Chocolate Banana Souffles. Classic White Cake has a soft, white crumb because it uses only egg whites and no egg yolks in the cake batter. A full sized layer cake will take about six egg whites, but a half batch of the recipe will make a dozen delicious white cupcakes. Real Vanilla Bean Buttercream, made with an Italian meringue base, is a must-try for cake and cupcake lovers. This frosting uses five egg whites in an Italian meringue, which forms the base of the ultra-buttery frosting. You may never go back to American-style buttercream again. If you are dealing with a whole lot of leftover egg whites, use them up in a batch of angel food cake. A batch of Angel Food Cupcakes bakes a dozen delicious light cupcakes with only five egg whites. If you can make it to 10-12 egg whites, you’ll have enough for a full sized Angel Food Cake. 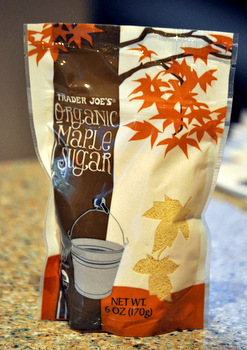 Previous PostPrevious What is maple sugar? This is my VERY favorite way to use up leftover egg whites, so I had to share! Especially when I do a curd or German’s Chocolate Frosting I end up with lots of egg whites. I keep a running container in the freezer. I put new ones in until I get to 12 or so and then I thaw them and make an angel food cake. If you have never had a homemade angel food cake–you do not know what you are missing. The difference between that and store-bought or even a decent mix is BIG. I have also alternated and used so many egg whites in a white wedding cake that I have taken all the yolks and turned them into a lemon curd or some other curd and freeze that for another time. It’s a great way to save but not take the time to use leftover ingredients when you have them. I want to try a few of these recipes next time I get a few whites. Or maybe I will just separate some eggs for the whites and use the yolks to make more curd!! Thanks, Nicole for some great new ideas. Fun post! 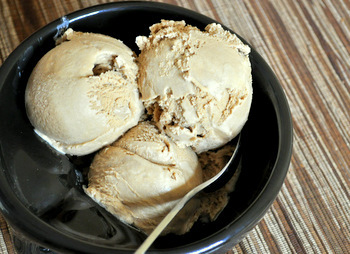 I’m working on ice creams this week and need lots of ideas for the left over egg whites.